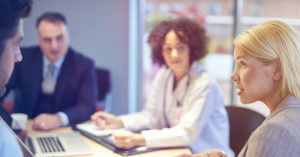 In January, Medscape released the results of their 2019 National Physician Burnout, Depression & Suicide Report. This comprehensive report collected information from 15,000 physicians in 29 different specialties. 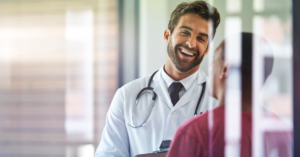 While 44% of physician respondents reported feeling burned out, and another 15% reported being colloquially or clinically depressed, the driver behind these responses may surprise you. 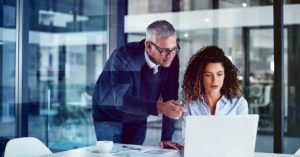 Almost 60% of respondents reported that they are burdened by too many bureaucratic tasks like charting and paperwork. The next closest factor as identified in the survey was spending too many hours at work which came in at 34%. 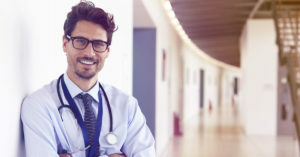 Clearly, if physicians are telling us that working too many hours is contributing to their feelings of burnout, imagine how frustrating it would be to know that paperwork and bureaucracy is one of the leading reasons for your long work days. 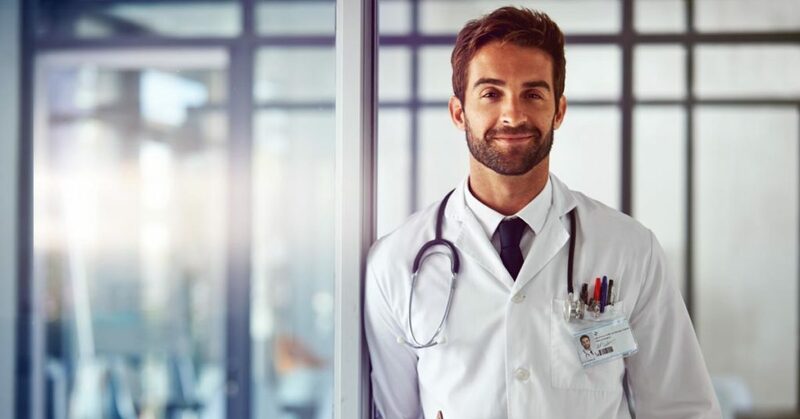 A study published in the Annals of Internal Medicine determined that for every hour a doctor is treating patients, they are spending two hours on paperwork! 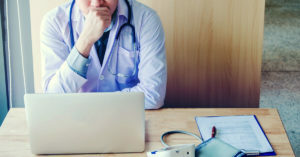 Burdensome clerical activity is even creeping into the time physicians are examining their patients as the study found that almost 37% of the face-to-face patient time is spent on electronic health records (EHR) and other clerical work. If the results of these studies sound all too familiar, here are several ways you can alleviate some of that workload and free up more time to spend on patient care. 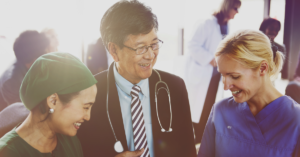 Get Involved – Believe it or not, health care industry leaders and federal agencies all realize that change is needed to allow physicians to spend more time focused on their patient and less on recordkeeping. 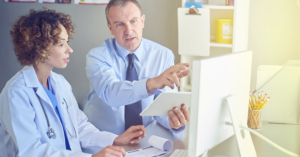 The Centers for Medicare & Medicaid Services (CMS) is initiating changes to reduce the administrative burden on Physicians as part of its comprehensive “Patients over Paperwork” initiative. Physicians that have identified confusing and/or time consuming documentation are encouraged to report them to ReducingProviderBurden@cms.hhs.gov. Share the Burden – Physicians at UCLA Health and Beth Israel Deaconess Medical Center are reducing the amount of time they spend on documentation through new virtual note-taking technology, Our Notes. Developed by OpenNotes, the concept promotes having the patients participate in the note-taking process in collaboration with the physician. 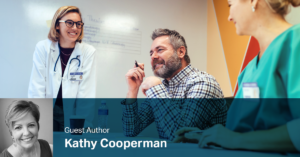 Research has shown that involving the patient in documenting the visit leads to increased patient engagement and improved communication between the physician and the patient. Smart Glasses – Another exciting tech development that healthcare organizations are piloting involves Google’s Smart Glasses. Recently relaunched, the Smart Glasses are set up to link with proprietary software, like Augmedix, a remote scribe service that records all of the clinical notes for the physician. Clinicians who are using this technology report that the device is shaving as much as 30% from their administrative time which can be used for additional patients or improving their quality of life. 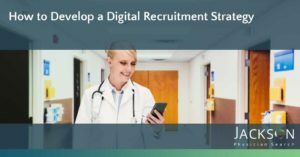 Whether through regulatory changes, technology, or even hiring additional support staff, like Medical Assistants, healthcare industry leaders realize that changes need to be made to support physicians. 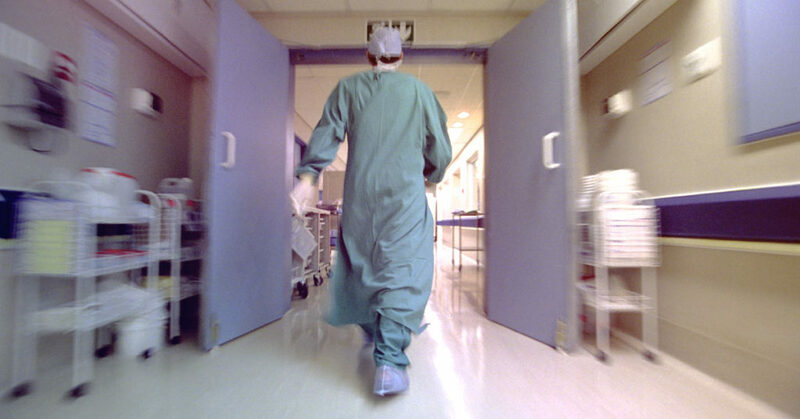 More doctors are feeling the effects of burnout and reducing the amount of time they are spending on documentation and bureaucracy is one way to help them manage their work-related pressures. 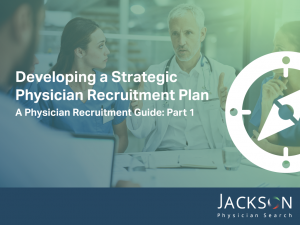 If you are ready to explore new career opportunities or find an organization that is a better fit for you personally and professionally, contact a Jackson Physician Search recruitment professional today. 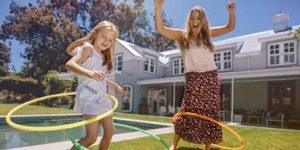 Our team has decades of industry experience and a nationwide reach to find you the best fit for the next step in your career.